I volunteered to write an article or two before the first of the Manchester Salon's current affairs discussions and put my neck on the line to have it picked apart, and hopefully improved for it. Events in Egypt have somewhat overtaken the sacking of Andy Gray by Sky for 'unacceptable and offensive behaviour', and the subsequent resignation by Richard Keys, but here's my take on the issue. The story takes place in context of BSkyB delivering some excellent financial results, and is preparing itself in response to takeover plans by Rupert Murdoch. Further adding complications in understanding the context is that Andy Gray is one of the celebrities who have begun legal proceedings against the News of the World, owned by Rupert Murdoch, over the phone tapping allegations. 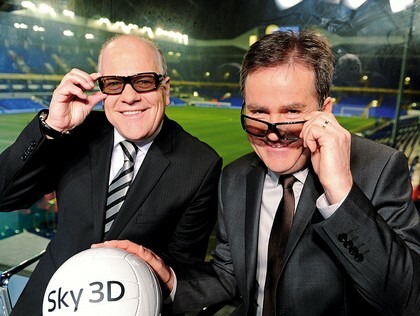 There was a general acceptance in most of the reporting that what was broadcast of off-air, pre-match comments made by Andy Gray and Richard Keys were fair game to discuss in terms of whether Sky should discipline, and possibly dismiss one or other of the commentators. Little was made of the fact that the comments were off-air and whether this was an issue of privacy. Indeed, whenever this was raised there seemed to be incredulity that anything done or said when at a place of work, or by someone with a prominent position in the media wherever they say or do things should be considered as private. When it comes to football, there does seem to be an acceptance that behaviour of anyone concerned can and should be regulated and modified whenever it represents something unpalatable to a modern sense of taste. As I write this article, I am watching coverage of events in Egypt and the contrast between people express a desire to control their lives and express that publicly without recourse to polite niceties contrasts profoundly with the sense of 'you can't say that', now very prevalent in across life in Britain today and with spotlights on it in football. This surely was a private conversation between presenters preparing for a live public commentary on TV, whose live public commentary wasn't in question as unprofessional, and should remain as such. The encroachment of all aspects of interpersonal relations between individuals at work, even when those involved don't express a problem with any aspect of those relations, is a profoundly worrying aspect of the 'kiss and tell all' attitude that blurs any distinction between public and private life. The consequence of Gray's sacking is the full realisation of the worst aspects of George Orwell's thought police and invasive snooping from his 1984 novel on totalitarian states. 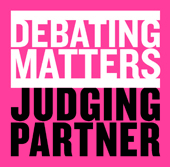 Further, whilst the state and institutions organise around themes of interpersonal behaviour in ways that increase their power over individuals and their private lives, the scope for individuals to tackle perceived problems for themselves is diminished as our role is increasingly paved out for us to look to those in authority to enforce codes of behaviour on our behalf. This trend makes asserting our own capacity and agency more difficult rather than empowering for us.